The South Luangwa National Park is 9059 square kilometres of bush teaming with wild life. The Luangwa River flows through the Luangwa Valley, part of the Great Rift Valley. Forming the eastern boundary of the park the majority of lodges and camps are located along the banks of the iconic Luangwa river and its tributaries, either inside the park or on the opposite bank. The Luangwa River is instantly recognizable, especially in the dry season when the river dries up until it is a collection of oxbow lakes, fallen trees and huge pods of hippo. The park is wildlife rich with the endemic Thorneycroft's giraffe, with white legs and face and Crawshay's Zebra with no brownish shadow stripe. 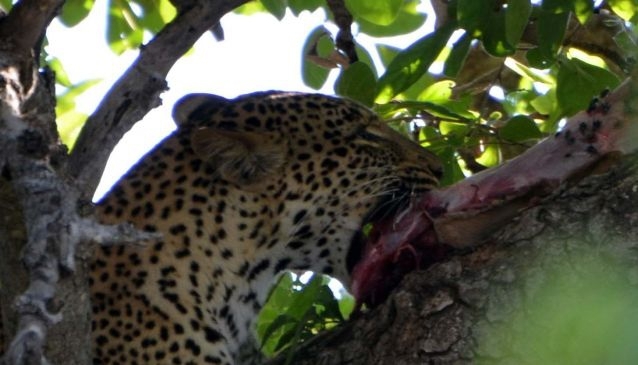 There are a number of resident Leopard as well as several lion prides. If you are very lucky you will also see the wide ranging pack of wild dog. The peak season is May to October, with September and October being very hot. The Emerald Season from November to April is wet and with more standing water game is more spread out but birding is very good and many lodges have reduced rates.